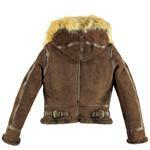 The Women's B-3 Hooded Sheepskin Jacket is a modified version of the iconic B-3 Bomber. 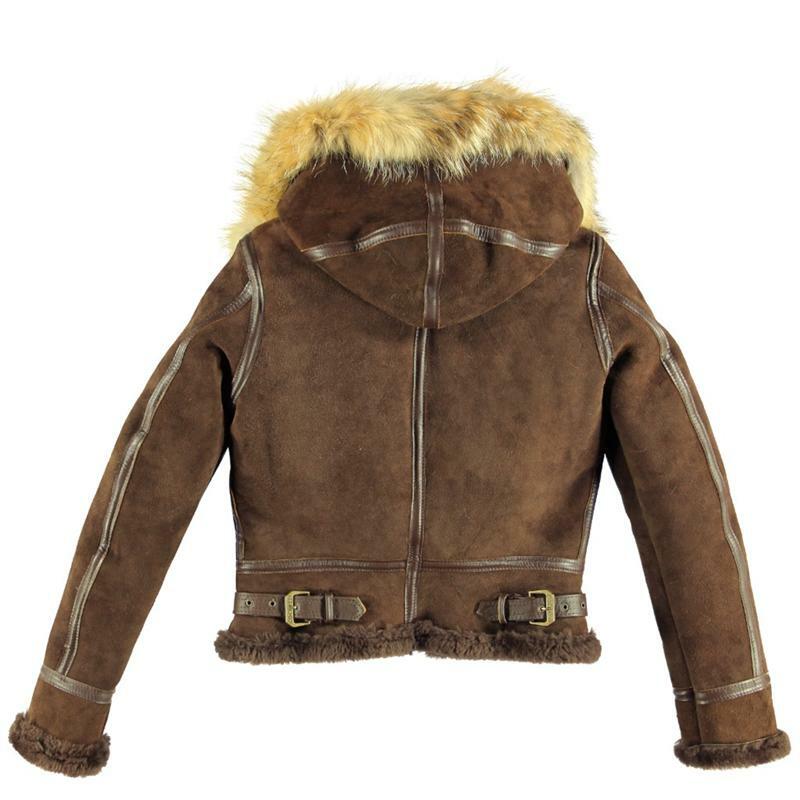 It features a shearling, real coyote fur trimmed, removable hood to let you take on the challenging cold weather conditions with great ease. Tailored especially for women, the B-3 sheepskin jacket flaunts supple double-faced Shearling, a belted collar and waist straps. 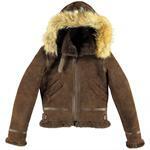 Don’t overlook the authentic exterior which is similar to those worn by Women Air Service Pilots in WWII. Available in brown color.